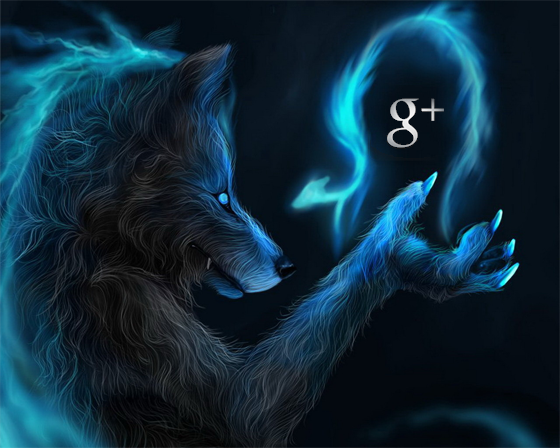 Critics say that Google+ is merely a copycat attempting to dethrone Facebook as the king of social media. But it has a few tricks up its sleeve that set it apart from the pack. Here are a few ways to use Google+ to give your marketing a kick in the pants that Facebook didn’t see coming. Note: This is a follow up post to 6 Essential Google+ Features for Marketing Your Business Online [with useful Infographic]. Google+ has a hangouts feature, which lets users hold conferences or present to groups of users. The functionality of hangouts has recently been improved to allow screen sharing, resulting in the ability to show a slide presentation while the presenter speaks. Marketers can basically offer complete webinars from within their Google+ dashboard! Pretty awesome! Share your screen with new enhanced Hangouts features. The one caveat to using hangouts in your marketing and customer engagement strategy is that it can’t be set to private, so anyone can join a hangout. Therefore, hangouts for marketing and presentation purposes should be used for free events and shouldn’t contain any proprietary knowledge. 2. What’s hot on Google+? In the left-hand menu, users can click on “What’s Hot,” which takes them to a page featuring the most valuable and newsworthy posts currently trending on the network. Marketers looking for the most up-to-date Google+ hacks or hot topics for a blog post or presentation will find this feature useful. On the downside, it’s not possible to drill down to hot topics by category. What’s hot is a quick trending topics search. When a user types a search query in the Google+ search bar, results pages include people, recent posts and pages. Users can narrow the results by showing only people and pages, only posts or hangouts. Another option allows users to funnel the results to show only those from a certain geographic area. Finally, users can opt to categorize results by interest by selecting Sparks from the drop-down menu. When this search is saved, the topic of interest will be added to the user’s left-hand menu for easy access to the most recent results at any time. Save a search as a “Spark” to create a new menu item. Clicking the new Spark from the menu creates an immediate topic search. The Google+ circle design has mixed reviews. Some experts love the concept of easily sorting contacts into various categories, with the simplicity of sharing certain content with a distinct group of followers. Others say Google+ circles are too confusing for the average user. Aside from categorizing contacts, circles can be used to create a private collection of notes or bookmarks. For instance, a user can create an empty circle titled, “Notes.” As he skims his Google+ newsfeed, he encounters a sweet free download, an interesting article on the latest political drama, and a mention of Oli Gardner, that landing page guy he’s been hearing about and meaning to follow. All these items can be quickly saved for later by clicking “share” and sharing it with his personal “Notes” circle. None of the information has been shared with contacts and it’s all neatly stowed in the “Notes” circle for easy access anytime. Share status updates with an empty circle as an easy bookmarking method. Circles can also be used to bookmark an individual’s favorite websites or resources using the same process. And, because there’s no limit on the number of circles one person can have, the most organized users can create individual empty circles to categorize notes and bookmarks by topic. This post is being shared with a circle titled, “Social Media Strategy.” Later, the user can revisit this circle to download Chris Brogan’s G+ for Business book. Google+ is behind the curve issuing their API, which would allow third-party applications to access posts and distribute them through other channels. It’s not uncommon for marketers to post to several sites simultaneously, so it’s likely that Google+ will step up and issue an API soon. In the meantime, the Google Chrome browser offers a feature (available from the Chrome Web Store with a simple click) that will enable users to share content to Twitter, Facebook or both when posting a status update to Google+. Extended share allows users to post updates to Facebook and Twitter. Social networks are by nature public venues, but there are still some items users prefer to keep to themselves or share with a select group. Any post or direct message on Google+ can be easily re-shared by recipients. To avoid public sharing of your updates, users should select “Disable reshare” when posting updates meant to be private. Another browser extension, Surplus enables users to get real-time notifications of updates and messages. Users can even reply from within the Google Chrome extension and post new updates without ever leaving their current Web or visiting the Google+ page. Google+ can be tricky for marketers initially, but those who work past the nuances to learn the insider tricks and hacks will find this social network an incredibly valuable marketing tool. By taking advantage of a few hacks, tricks and work-arounds, marketers can build on the basic uses of Google+. And it’s only a matter of time before more features and functionality are introduced, enabling Google+ to remain competitive in the social media sphere.